When a client is looking to buy a home quite often a Home Buyers survey is carried out. In many cases they advise a damp proofing specialist attends site to assess and this is where Kenwood come in. Following our client’s subsequent purchase of the home, Kenwood were called in to carry out the treatment for rising damp. 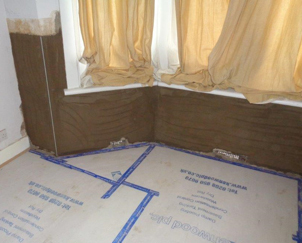 This ground floor flat in South East London had a rising damp issue within the front reception room and the rear bedroom. 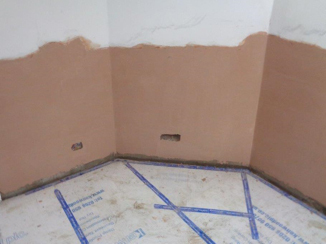 In order to treat the problem Kenwood have installed a new damp proof course. This is done by injecting Kenwood dpc fluid into the brickwork to create a barrier impervious to dampness. The walls have been re-rendered and skim finished providing a smooth surface for re-decoration.